Baseball player as catcher wearing yellow uniform during a game. 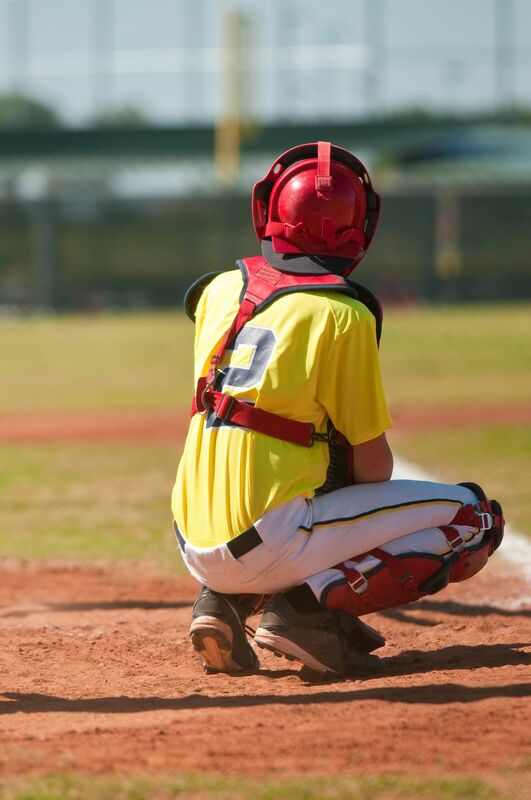 A good catcher is a major key to winning ballgames, yet often, all the glory goes to the pitcher. The catcher is usually overlooked, underrated, and not given his due for the contribution he gives to the team. I can relate to this myself. When I have a pitcher who throws strikes, doesn’t give up many walks, and is difficult for the other team to hit, I walk away from this game thinking, “What a great game so-and-so pitched.” But someone had to catch every one of those pitches. He had to block balls, making sure nothing got past him. He had to make plays, with a fast and accurate throw to second, without being able to take his time on the throw. He was constantly involved in just about every play. He had to keep track of when the dropped strike three rule was in effect, and remember to make tags on dropped strike threes. He had to be ready to throw off his gear to go after a little pop fly. The catcher really does more for the team than he usually gets credit for. So just remember, when the pitcher pitches a great game, to also thank the catcher for doing his job, making it all work.